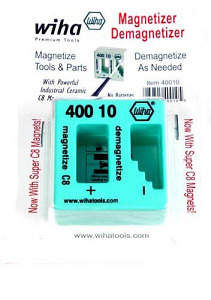 Instantly magnetize or demagnetize steel tools and small parts. Utilizes powerful C8 industrial ceramic magnets. No batteries required. Size is 2" x 2" x 1". 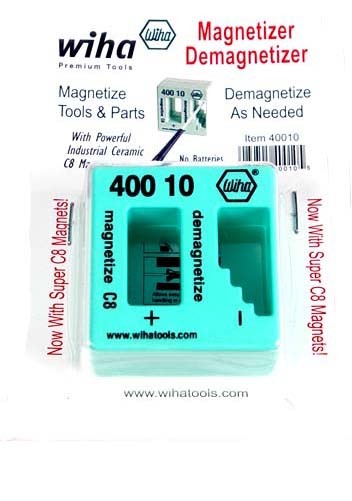 The inexpensive Wiha Tool magnetizer/demagnetizer is an essential workbench tool!